Cubetto has already raised a stunning $302,000 from 1,420 backers. Part of the appeal, doubtless, is the truly delightful nature of the toy. 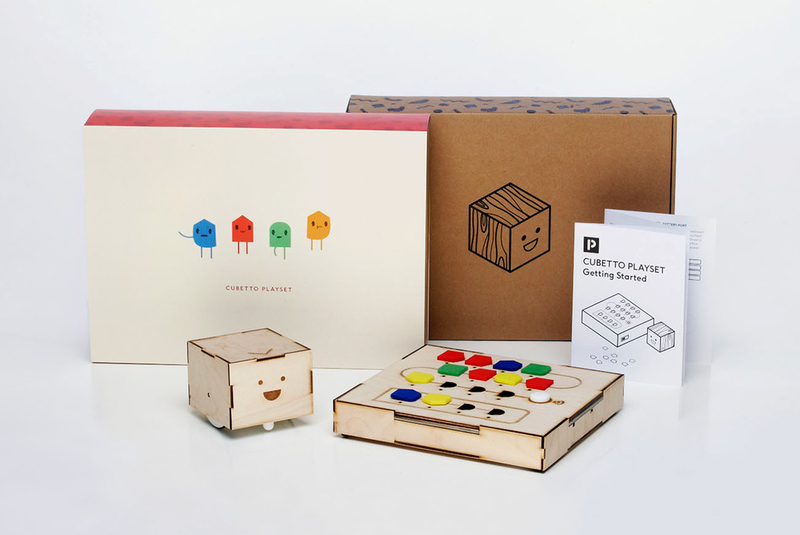 Comprising a friendly wooden robot, a physical programming console (board) with a set of 16 colorful coding blocks, and a beautifully designed map and activity book, the Cubetto playset promises to create an equal learning environment that promotes inclusive play. It doesn’t matter if your child is a boy or a girl, has a learning disability, or is non-sighted, the Cubetto combines movement, touch, and sound to get children excited about learning and, as a result, learning faster. 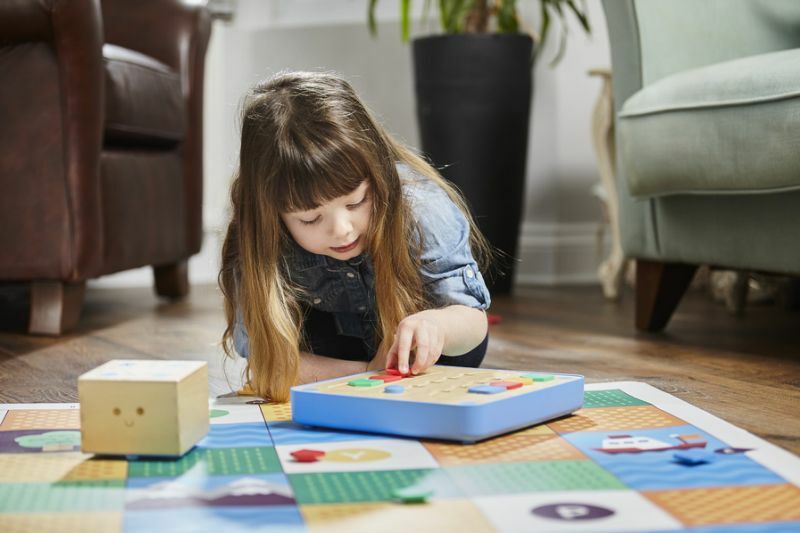 Cubetto comes in three parts: the robot, a programming board, and a game board. The programming board has an Arduino in it, which communicates with the Cubetto robot over Bluetooth to move across the game board. Sort of like a shape sorting board, the way you program the Cubetto is by slotting different color blocks into the board: red to move forward, blue to turn left, yellow to turn right, and green is the function key for loops and subroutines. Kids ages three to seven “play” with the Cubetto by trying to program a path from one part on the board to another. By allowing a kid to discover programming through play without an adult’s direct instruction, Cubetto fulfills many of the criteria of the Montessori method. It’s non-prescriptive, in that it allows children to solve problems within the world they create. It’s child-centric: All kids need is a nudge to understand “blocks” = “actions” and they can take it from there. Cubetto is also designed so that many kids in a class or a pre-school can pool their knowledge to come up with a solution one child alone might not understand; in other words, cooperative, not combative. And finally, it’s autodidactic: Kids learn the principals of coding through trial and error, not instruction. Montessori is not the only educational method Cubetto piggybacks off of. Logo—the educational programming language for kids first created at MIT in 1967—was also a big inspiration for the Cubetto team. If you grew up in the ’80s, you might have learned Logo in computer class, programming a turtle to draw on your screen. “In many ways, the Cubetto Playset and its tangible coding language are a physical, and much simpler representation of Logo, specifically aimed at a younger audience in pre-literacy,” says Yacob. Will Cubetto help your child land a job at Google straight out of preschool? Probably not, but what it will do is help children develop an intuitive understanding of coding logic, which they can then apply when they’re older to any platform or language they want. Where can I get hold of Cubetto? At this stage we have not brought them into SA yet, as we are still looking for distributors.